Office relocations are by no means straightforward. There is a lot pinned on ensuring the process is smooth so that business can run almost as normal throughout the move. If you have been charged with organising the moving project, then you might be feeling the pressure. Follow this ultimate moving office checklist to keep you on the right track! The move cannot be a one-man project so it’s a good idea to appoint reps from each department to help break down the process into manageable chunks. The number of reps will depend on how big your office is with the aim of minimising the pressure left on one person. The departments should meet independently to coordinate a comprehensive plan of everything they need and want in the new office, and this information should be passed on to the project leader. Note, even if you’re looking at hiring a company to complete the move — there’s still a LOT to be done before the team shows up on the day and after they leave at the end of the day! Keep everyone in the loop about the moving plans where necessary to reduce anxiety, allowing everyone to focus on their work, knowing how the plans are evolving,so everyone is informed. It’s hard to plan a full-scale office move if you have no idea what the space you’re moving to looks like. Get a hold of a floor plan of the new place and work out what the measurements are. The floor plan will act as a guide to planning how to organise and decorate the new space. As well as desks, chairs, and computers, you need to consider other things like carpets, lights, blinds, or partitions to break up the space. When you’re planning, use different colours for each department to mark out the use of the space, and add more detail by adding different numbers to correspond to the space for individual employees. 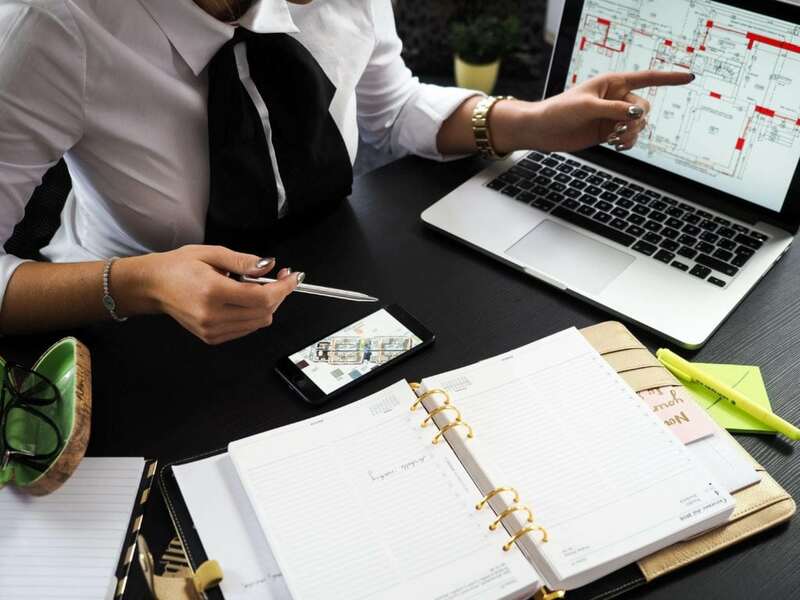 Taking into account all of the needs identified by each department and the requirements established from the floor plan, devise a budget that is broken down into categories for different expenses. This should include costs like moving and setting up equipment, purchasing new furniture and decor, and updating your marketing materials or stationery with the new address. Constructing a calendar of deadlines for each task is vital to keep the project flowing and on-track. Using shared online spreadsheets with your plans will allow you to keep everyone informed of their roles so no task runs behind schedule. Booking a removal company should be done as soon as you can so the moving process doesn’t slow down, and so you can take your pick without having to compromise because you are late to the party. Pick your company carefully based on pricing and reviews and whether they are able to provide you with any other help you’ll need. If you have equipment or furniture that you’d like to keep but don’t want to clutter your office space, you can use a self-storage unit for long-term safe-keeping. This is also a great option for storing things mid-move while you’re packing up so they don’t get in your way or damaged. Your clients, suppliers, utility providers, bank and insurance companies will all need to know about your change of address as soon as possible. Any business cards and marketing material will also need a makeover to reflect your new location. To catch anyone who tries to contact you at your previous address, a postal redirect and call forwarding to your new premises is necessary. In the few weeks leading up to the official moving day, delegate packing tasks amongst members of the office. Ask all your employees to take home their personal possessions to help declutter the office and make the packing task simpler. All of the packing boxes should be labelled with what’s in them and where they are to go in the new office. Colour code the boxes according to department and note the employee number where necessary. Streamline the move-in by installing electric cabling and data points, functioning bathrooms and kitchen, lighting and heating before all your office equipment and furniture is moved in. With everything set-up and installed prior to move-in day, it will be a simple case of linking things up come move in day. There are a few final steps you’ll need to take before moving day. Firstly, avoid last-minute panics by collecting the keys or access codes for the new building and office. Next, make sure you know where the removal company can park on the day. And finally, create a comprehensive itinerary for the day which you should give to all your team. Moving day may be strenuous so minimise the strain by preparing yourself. Packing a moving day kit is a good idea – fill it with a first aid kit, snacks, and water to keep your energy levels up. Hand your movers your contact details and your floor plan with the colour codes for the labelled boxes. On arrival at the new office, have your camera at the ready to take pictures of the premises, looking out for anything to report to the landlord. After the movers have unpacked everything, ask the representatives from each department to check over their sections, making sure everything is in place and undamaged. Organise cleaning services to attend to your old premises before you return the keys. When moving day is over and your employees have returned to work, trial working in the new office space for a couple of weeks – ask for feedback from the employees on the facilities, the layout, and the feel of the office. Make changes where necessary to achieve the ideal working environment. This moving office checklist will help you construct a smooth moving project, addressing any issues along the way! Carol is a freelance writer for Storage Vault Coatbridge and is absolutely bonkers about storage and productivity. If not writing lists, press releases or blog articles — you can find her exploring the Scottish highlands with her Macbook and notepad looking for inspiration and adventure.